I have been here 5 times. Every time I have tried a different package. First time was full service on my truck. They did not vacuum well. They missed vacuuming all of my seats. Front and back. They also do not dry the vehicle very well. As well as dirt on the dash which is the easiest spot to wipe quickly. Next time I got the full service again and the same problems happened. The next 3 times were washes. First time with the Polish wax and tire shine. Tire shine didnt exist and again the vehicle was not dried well leaving streaks all over it when I drove away and it dried. How does one Polish a truck without wiping it? Next time was a wash with hot wax. Again poorly dried and streaks all over the vehicle. Next time was just a wash. Looked the same as the tire shine, Polish wax, and hot wax. Without the extra charges! Echoing previous reviews - not impressed. Despite this, I went again for the third or fourth time which will be my last. They sprayed my mats, haphazardly vacuumed inside then put the soaking wet, dripping mats back into the car. The mechanical wash appears not to be fully working. They used dirty towels to clean the inside and did not clean the thresholds. I had to ask them to wipe the rocker panels and the tire polishing they charge $2 on top for amounted to 3-4 pumps of tire shine and I was told they do not wipe it or polish it in. They seemed annoyed in general and not one single person said hello. I appreciate you get what you pay for - but this is not worth the money. Spend a few bucks more and go to Mr. Shine in south Oshawa or Excel in Whitby. Cannot believe I just paid $20 for them to push hair and dirt around. I ended up buying a $10 pack of wipes from Canadian Tire and a $2 coin operated gas station vacuum to make their "full service" look better. I do not recommend anyone going here as it seems theyre turning a quick service into more of a priority than quality. Mats not thrown in properly and simply rinsed off, door panels not wiped in addition to the dash, centre console, windows. The same dirt mark and hair that gave me the idea of going there is still in the back seat. Incredibly unsatisfied, upset, and disappointed. Decided to give them a try today just for an exterior wash. The vertical spinners in the wash were turning so slowly they werent even touching the sides of my truck. Hardly any soap/suds were used so the wet cloth pieces are just pulling dirty/salty water across your paint. Once exited they wipe down the vehicle with less than clean bathroom type hand towels clearing some of the still dirty spots but missing most and really just smearing more dirt around. From far, the truck does appear cleaner though, so they get a star. I wont be back. Great service, great price. This is the second time using their detailing service. First time was my Mazda 3, and they did a great job. Second time was my newly acquired Dodge Caravan, which was extremely dirty (dog hair, food crumbs, etc). Well I just picked it up, and though its not "100% out of the dealership looking new", its far better than I imagined it would be. Very happy for $100. He also gave me a free $20 card for another clean, which Ill use in a month or two. Would recommend for your detailing needs. Good basic car wash and vacuum! The negative comments seem to have high expectations. 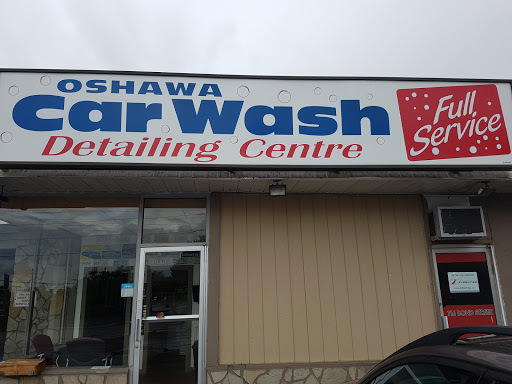 This is not a detailing place where you pay over $100 to have your car cleaned inside and out. It costs about $20. Even the car washes you find at gas stations cost about $12 on their own. An extra $8 for vacuuming and wiping down dashboards is reasonable. For $20 its not going to be perfect, but they do a decent job for the price and its convenient if you dont want to do it yourself. Look for Juan and Choly if you get here. They provide the best cleaning service among the staff here. Dont forget to let them know they did a good job afterward. Quik with very good cleaning and wax and reasonable price at $ 19 for SUV. Mats cleaned as well. Trunk clean for only $ 2 extra if you want it done. Very quick and fast service which some times the Quilty suffers for it. Do recommend for a low cost detail and car wash.
You need a car wash! They vacuum the inside, and wipe your interior, and wash your car. Great value for the low cost! For the price its not perfect detailing but a quick way to make your ride feel much better. If ur are in hurry and need a solid 8 out of 10 cleaning then this place will fit your need. In & Out Wash. Responsive to requests for areas that need extra attention. The cleaning in and out could be a bit better but all and all not bad. They open and close whenever they want. Ill never go back. Always great experience here. Highly recommended! wonderful service! I recommend it all the time! Great job for an amazing price! Pretty good wash for the money. My car is still dirty.